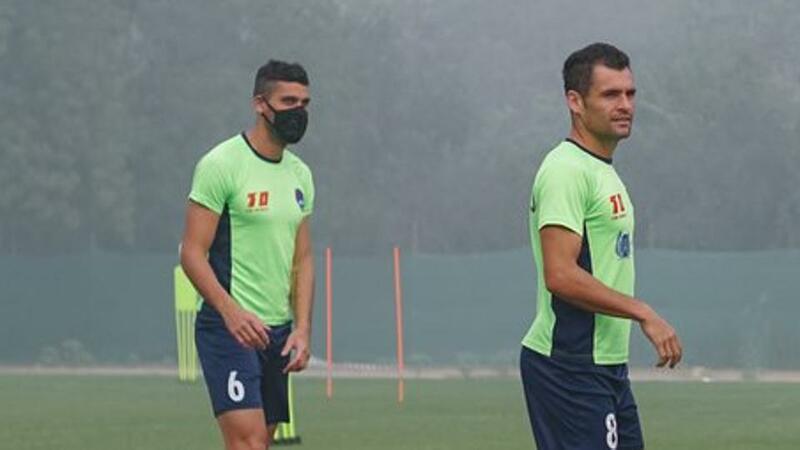 Kolkata, Nov 12: To keep air pollution at bay, the players of Indian Super League (ISL) franchise Delhi Dynamos practised at the Jawaharlal Nehru Stadium in Delhi wearing masks, coach Miguel Angel Portugal said here on Sunday. "It's a problem. We trained wearing masks. That is a problem not only for players but for the people as well," Miguel told reporters here when quizzed whether the worsening air condition in the capital has affected their training schedule. "We were not allowed to go out during those days in Delhi and the players mostly stayed indoors," Miguel said. The pollution worsened again on Sunday with officials warning of little relief in sight from the smog, which has even caused an airline to cancel flights to the world's most polluted capital. The coach hoped the smog issue won't be a problem during match days as they play their first home game on December 2 against NorthEast United. "I think by that time the issue won't be there that much. As far as smog is concerned, the players release toxin while playing so it won't affect them. It could be a problem for the normal people," the Spanish coach added.